Last week, I posted my first green track, so I figured it’s about time for a purple one as well. 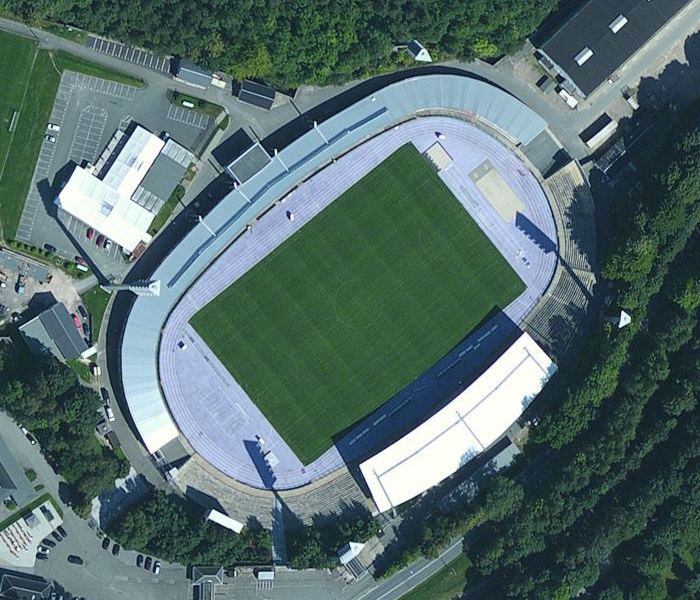 I stumbled across this one while researching facilities for my recent European track series. 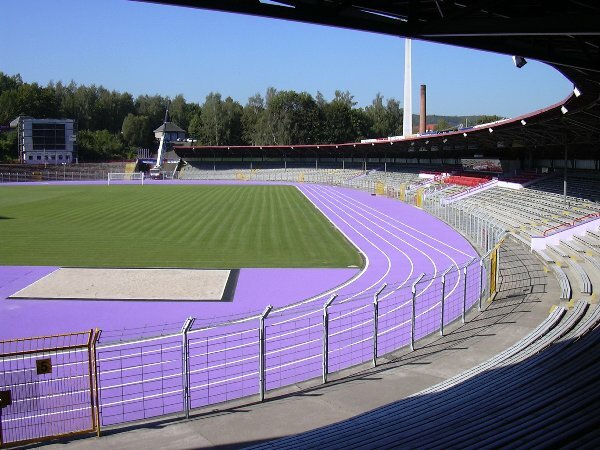 The beauty is found at Sparkassen-Erzgebirgsstadion in Aue, Germany. The stadium first opened in 1950, but it replaced a previous stadium found here that was built in 1928. There have been several renovations done over the years, with the most recent one done in 2010. This is when they installed this purple track surface. Because of the physical constraints of the stadium itself, this is a smaller track, only having five lanes, but it’s still a great-looking track nonetheless. The seating capacity is listed at 15,690.